Every emotionally healthy child is on the path toward happier experiences. She’s learning to master her emotions and make choices that are good for her. Said simply, emotional health is the first step toward becoming happier. Happiness is complex, especially if we’re discussing lasting happiness. Of course, every parent and teacher wants his or her child to be happy, and this starts unequivocally with mastering emotions. The emotionally healthy child isn’t necessarily happy-go-lucky, but he is learning how to face his feelings in constructive ways. Jorge was the smallest kid in kindergarten, and because of this was an easy target for bullies. Unfortunately, the situation that his mom, Anna, feared came true when Jorge came home one day and said, “Momma, someone sat on me in the playground and punched me.” Of the millions of questions that raced through his mom’s mind, the one she asked was, “Did you tell anyone?” Jorge shook his head no. Children like Jorge need to learn to speak up, especially when upset and scared. It takes a brave child to ask for help, which is what Anna is coaching her son to do. On my recommendation, she’s getting him into jujitsu so he can feel physically as well as mentally and emotionally equipped to handle challenges like the bully at recess. While I’m not a fan of physical fighting, self-defense is necessary, and Jorge’s confidence (inner and outer) will surely rise with some martial art skills under his belt (pun intended). Becoming happier is the result of many things, but in this book we’re beginning with mastering emotions and making smart choices (ones that are good for you and good for others). In his book with Desmond Tutu, The Book of Joy, His Holiness the fourteenth Dalai Lama talks about “passing through difficulties” and using them. He doesn’t suggest being in a difficult spot and setting up camp there but instead focuses on passing through difficulties. Since children haven’t yet gained a wider perspective, they tend to see whatever is happening as final, whether it’s someone calling them names on the soccer field or something far worse. Our role as parents and professionals is to help children begin to see how they can use any life experience, even the most challenging ones, as a force for good. Of course, I can only say this because I’ve learned to do this myself, even through experiences in which I thought for sure that there was no good to be found. Eventually a light shines on the dark spot, and life is made new again. Last summer I had the pleasure of helping an eleven-year-old boy, Finn, recover from being bullied repeatedly. His parents, Margaret and Joe, brought him to me because he was slumped over and sad. Finn’s demeanor was a result of being scared silly about returning to school as a seventh grader, with all the same bullies from the sixth grade. Working with Finn, I shared how I had been bullied in grade school and called names I cannot even say aloud, all because of my full lips. He couldn’t believe it. 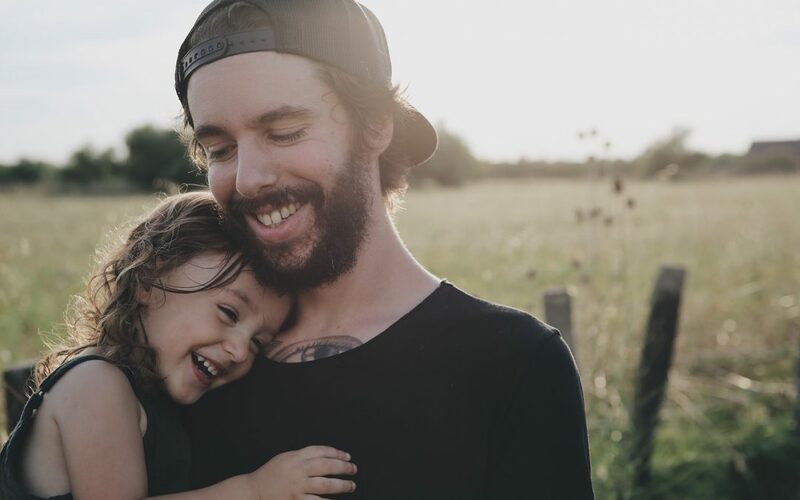 Once children realize they’re not the only ones in a situation or that someone else has traversed the same path, they feel hopeful and can move up the emotional scale. Finn and I did a lot of talking, and I gave him the chance to tell his story about being bullied one more time. Finn looked miserable, and the thing that struck me about his stories was that he assumed they were all true, especially when someone called him “weak” on the soccer field. But he wasn’t weak, and I guided him how to see his situation differently (to reframe his story, a skill we’ll discuss later in the book). For example, I mirrored back to Finn all the different and extraordinary things he’s done that took strength — from rowing in regattas on Lake Casitas to teaching an elective, Lego Creativity, to his peers. Changing your perspective isn’t necessarily easy, especially when you have a history of being mentally or physically beat up. But with time and tools, I helped Finn focus on the positive things happening now and got his parents alerted and partnering with the principal. Eventually he came around to feeling more capable of handling whatever was going to come up in seventh grade. Today Finn is a different child. By learning how to constructively express his emotions instead of suppressing them (holding his sadness in) and by developing some habits of emotional health, he’s become a happier child. But this happiness isn’t separate from his sadness and challenges; one helped the other grow. Excerpted from the book The Emotionally Healthy Child. Copyright ©2018 by Maureen Healy. Printed with permission from New World Library — www.newworldlibrary.com. 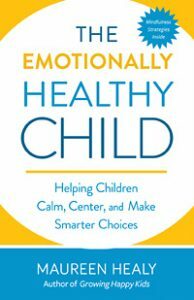 Disclaimer: I received a complimentary copy of The Emotionally Healthy Child for review purposes. Here’s my Amazon review: Maureen Healy’s book offers relatable anecdotes and practical suggestions. She helps us guide our children in being emotionally competent and having better relationships. Excellent presentation of research made readable for all. 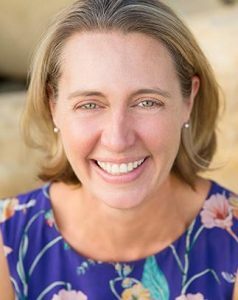 Sarah MacLaughlin is author of the award-winning book, What Not to Say: Tools for Talking with Young Children and has been featured in The Huffington Post. She brings over 20 years of experience working with children and families to her coaching practice. Sarah is also mom to an eight-year-old who gives her plenty of opportunities to take her own advice. She works with families one on one, in groups, and through online offerings.